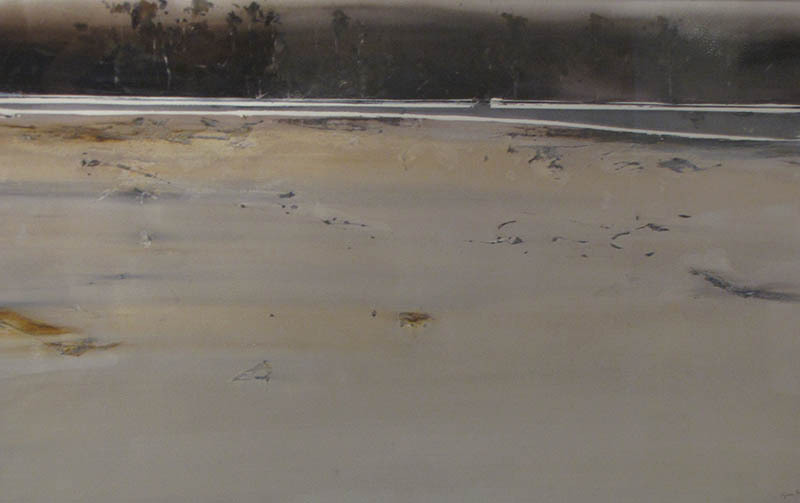 Studied BA, BFA, won Tasmanian Arts Prize, recently finalist in Glover, Paddington, Mossman Art Prizes. John Lendis grew up in Nottingham studied at Nottingham College of Art and Design before leaving England to travel and settled in Australia two years later. 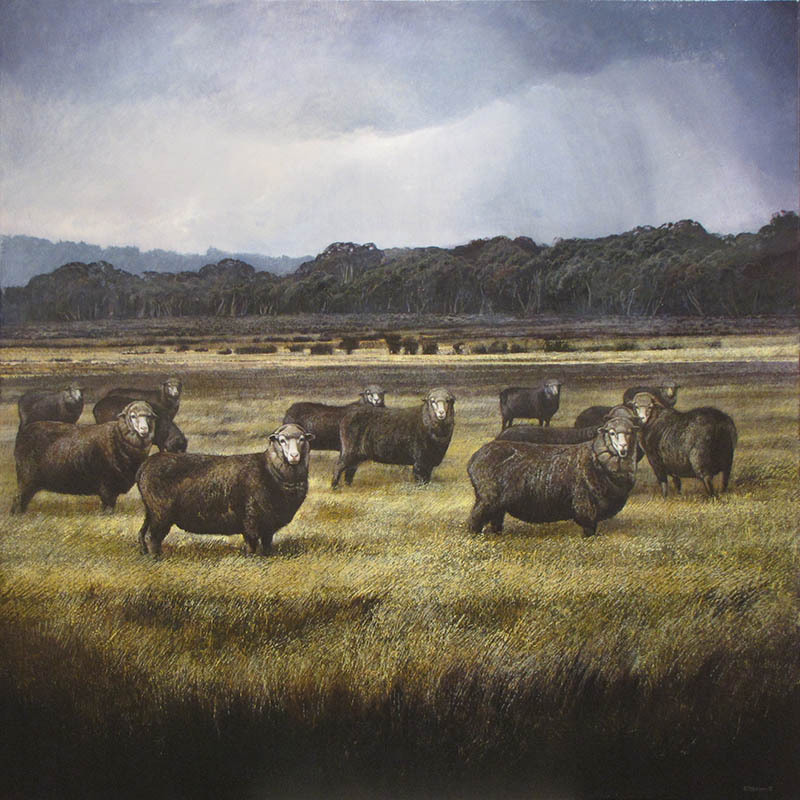 In the early 1980s, he moved from Sydney to Tasmania, where he went on to complete a BFA (Hons) and Master of Fine Arts (painting) at the University of Tasmania's School of Art. 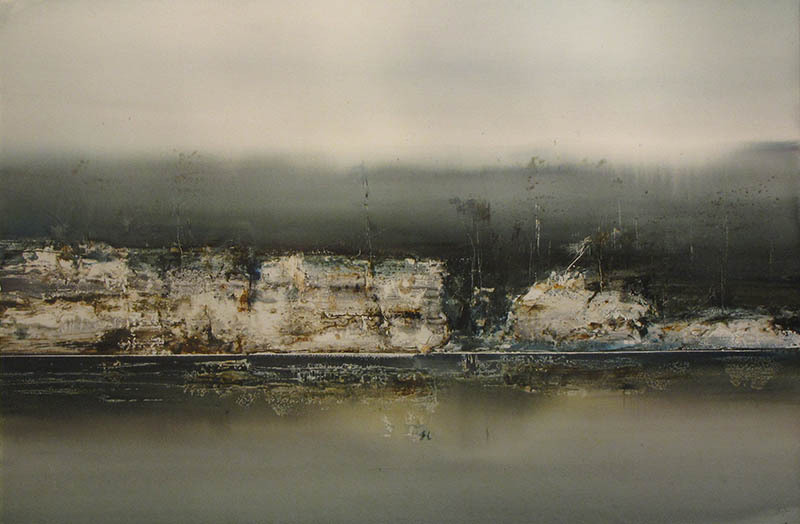 John's work has always been about his personal relationship with the landscape or place where he lives. He continues to describe his life as being caught between two worlds - while his life in one place is a physical truth, so his emotional or spiritual relationship to another place is equally so. His paintings deal with stories of migration, travel, crossing borders and often collide binaries such as wilderness/culture and interior/exterior. While living in England again, he still spends regular time in Tasmania and his work is as much about living between two landscapes as it is about either place. 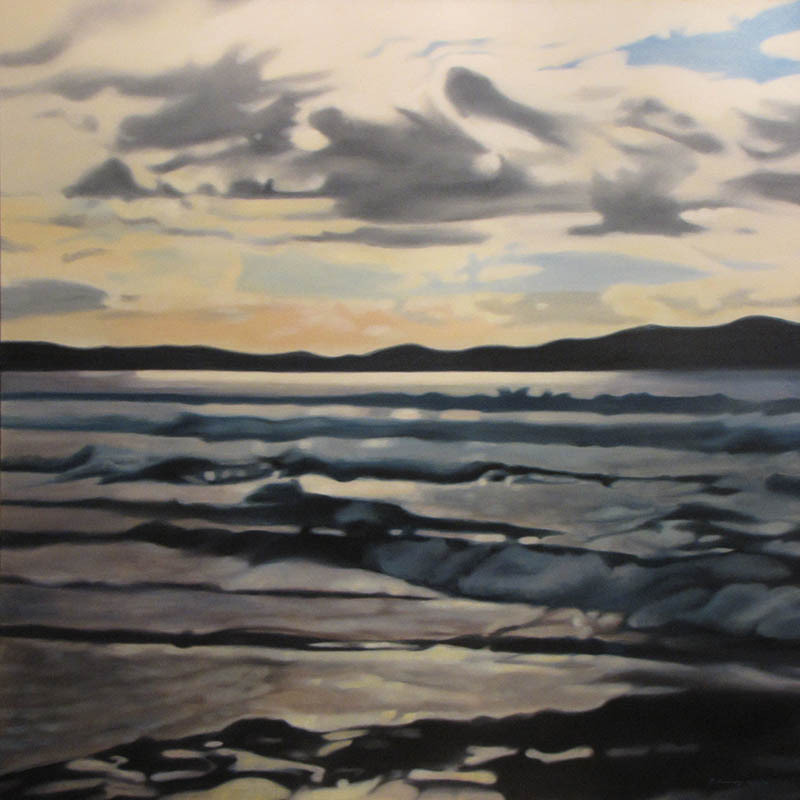 More than 20 solo exhibitions both here and internationally. Born in Prague, he moved to Australia in 1971. 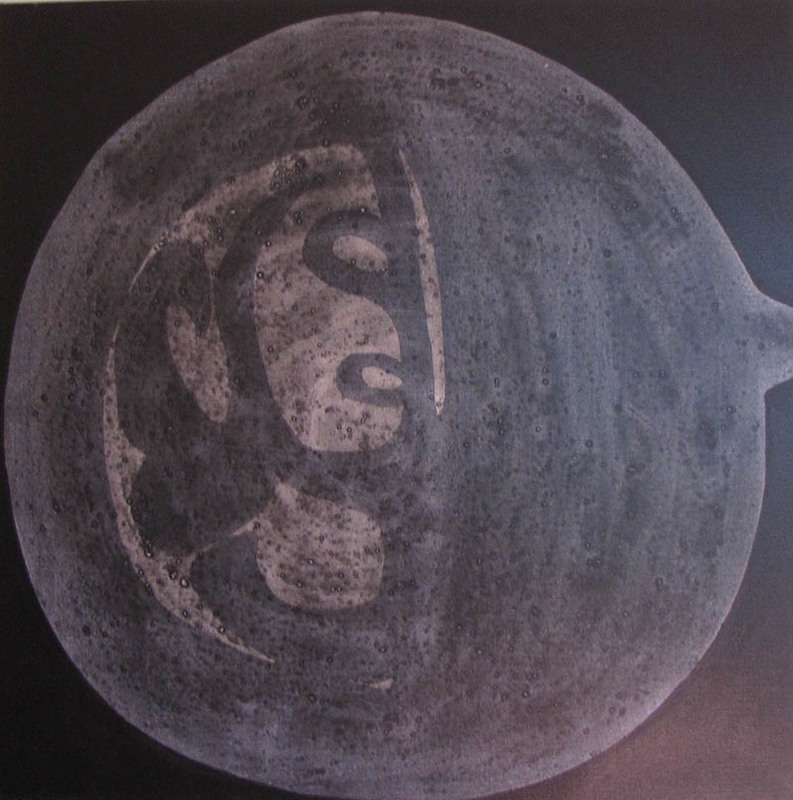 In 1972 he studied printmaking with Eric Smodic in Austria for a year, then returned to Australia the following year. He lives and works in Hobart, Tasmania. His work as a chef, and passion for food, wine and culture lead to his art practice where he adopts a whimsical view of Australian customs and language. Samek's largest, and perhaps finest work is Flawed History of Tasmanian Wine, a floor mural in a gallery above the tasting room of the Meadowbank Estate winery and restaurant in Tasmania. The floor is painted, carved and etched in Samek's "unique style" and integrated with his friend Graeme Phillips' comic and nonsense poetry. Over the years Alkis’ paintings have been collected by President Kennedy, Ari Onassis, and the Mayor of Athens to name a few. 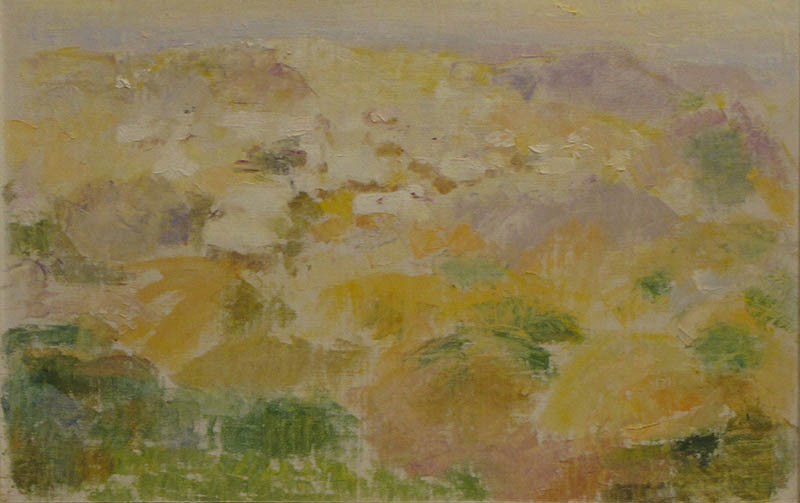 This work comes from the estate of Paddy Pearl (-2014), wife of Cyril Pearl (1906-1987). It was a work received as a thank you to Cyril’s wife Irma for a memorable dinner shared reportedly from a gathering at their house in Paddington. The work was always hung above their kitchen stove and was an integral part of their lives, and was always known to family and friends as ‘the Dobell’. 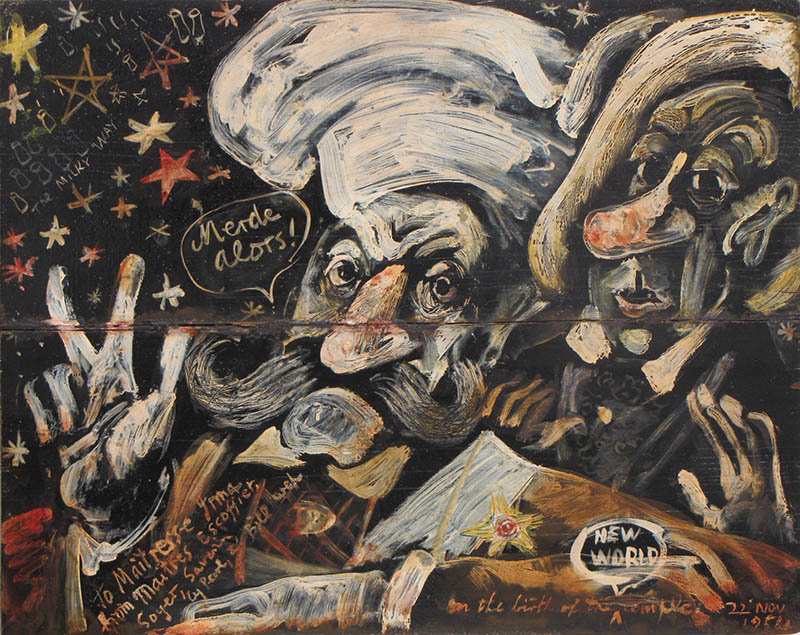 The artwork depicts a central figure of Albert Tucker, to his right Charles Blackman and the painter William Dobell is said to be the artist. The lives of these individuals on this date were in dramatic flux, with a number of the participants engaged in work abroad, … where this dinner is said to have occurred in Paddington, perhaps some participants depicted are honoured as absent friends. The interpretation can take references from a number of sources. Cyril Pearl illustrious career in journalism in Melbourne in the 1930s and rose to become one of the country's most influential editors in the 40s before abandoning newspapers in the 50s to write 26 books from then until the 80s. Pearl was intellectually fearless, yet whimsical; erudite, yet earthy. He loved good food, fine wine and rollicking company, yet he could show steely resolve and a merciless pursuit of the truth. He waged war on censorship, exposed the hypocrisies of the Victorian era, cast a newspaperman's eye over historical Australia and, through participation in the awakening intellectual discourse on literature, arts and politics, helped shape the debate. Pearl studied Russian and philosophy at the University of Melbourne In 1939 became editor of the new Sunday Telegraph, a position he held for 10 years, then in 1949 moved on to edit the Packer magazine AM but, in 1954, turned his back on newspapers to concentrate on long-form writing, to follow his interests in Australian social history, its larrikins and misfits, and to explore his empathy with rebels and radicals. He made a brief return to newspapers as editor of the Sunday Mirror in 1960-61, but the peripatetic life of researching and writing books had gripped him and he spent much of the following two decades overseas. In 1962 Pearl’s first wife Irma died of cancer and a couple of years later he worked with Paddy (Patricia) and they then married 1965. They travelled the world, spent time behind the Iron Curtain in a Walter Mittyish brush with Cold War agents and double agents, lived in Ireland, Britain and the Sydney suburb of Paddington. Papers from his estate reveal associations with journalists, artists including Russell Drysdale, Lionel Lindsay, writers including Barry Humphries, Max Harris and a young Tom Keneally, and prime ministers from Robert Menzies to Bob Hawke. From 1994 the couple lived in a grand Georgian house in the Coal Valley near Campania, Richmond in Tasmania. 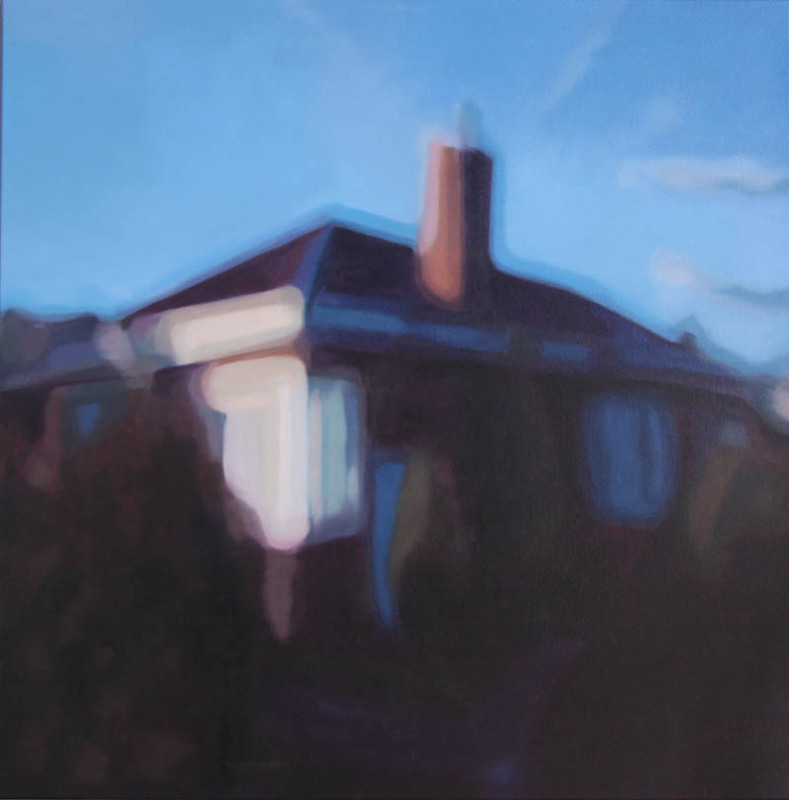 In 2009 Paddy held an auction of the house and estate and moved to care in Hobart. This artwork was one of the few possessions that she retained as a memory and contact of her life and remained with her until the last. Dobell studied originally 1924 Julian Ashton Sydney Art School before winning the 1929 Society of Artists Travelling Scholarship which took him to London and further studies at the Slade School of Fine Art. 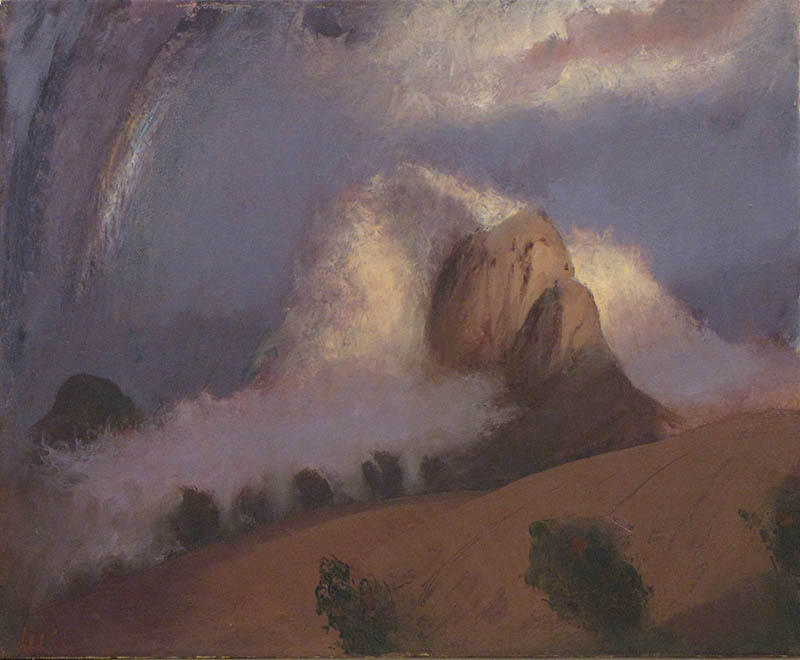 He remained in Europe, studying and exhibiting through the Royal Academy of Arts before returning to Australia in 1939. Dobell was awarded the Archibald Prize in 1943 with the controversial portrait of Joshua Smith, and again in 1949 and 1960. Artistically there were two highlights in his later career, a series of paintings of New Guinea in the early 1950s, and a series of major portraits in the late 1950s and early 1960s. He visited New Guinea for three months after Easter 1949. Dobell destroyed his first drawings—for being too much like tourist fare—and began seriously to sketch. He revisited the Territory next year and worked on New Guinean subjects almost exclusively until 1954. In 1954 Dobell was in Italy as has had been awarded representation at Australia’s first Venice Biennale along with Sidney Nolan and Russell Drysdale. He believed that to look to Europe was necessary, given his conventional belief that Australia could not offer the nourishment necessary for great art; but, while his attention was given to preserving styles and genre themes of European art, he responded to his own, immediate, expatriate Australian culture. He acquired 'a complete mastery of traditional techniques' and a noticeably 'democratically egalitarian handling' of a wide range of subjects. Dobell shared with writers of his generation, Patrick White and Hal Porter, and the painters, Russell Drysdale and Albert Tucker, a singularly sharp perception of social manners. Their art focussed upon the articulate and telling moment, and described only the salient aspects of a situation. Each at times was accused of caricature. It may be significant that these artists were tardy in deciding on a career, slow to mature, and, conversely, spectacular and controversial in their fame. Comparisons outside Australia may be made with the British painter Francis Bacon. Albert Tucker AO (1914-1999) was one of the strongest Australian painters of last century. His expressionistic style of painting was formed during the wartime years, when the city of Melbourne took on a strange and unreal atmosphere. His first major series of paintings, collectively titled Images of Modern Evil, was painted between 1945 and 1947. Tucker lived in Europe and the United States throughout the 1950s. There he refined and extended his subjects, concentrating on Australian myths, which he saw as central to the definition of national identity. This was the cusp of the next 20 years which were extremely stimulating and definitive of Tuckers career, it developed his depth and knowledge of art and also materials. Travelled to 1947 Japan, then spent the next 11 years in Europe 1948-1959 with shows Amsterdam 1951, Paris 1952. In April, 1953 Tucker and Dixon set off for Rome in the caravan, his show at Nibbi’s Galleria near the Pantheon, opened 20 April followed by shows in London 1957, New York 1960, then returned to Australia where he held numerous exhibitions Australian Galleries, Collingwood. October 1956 Tucker left for London and produced a Ned Kelly series which he dubbed ‘Pan in Armour” together with Totem and Encounter from the Venice Biennale and the new London works including Tough Guy renamed The Gambler 1957. and He organised an exhibition at the Imperial Institute in South Kensington for April 57 which would open two months before Nolan’s at the Whitechapel. It would be Tucker’s first comprehensive European show. Expressionistic painter Rodney Pople studied Arts at the University of Tasmania in 1974, Slade School of Art, London 1978 and New York Studio School 1979. 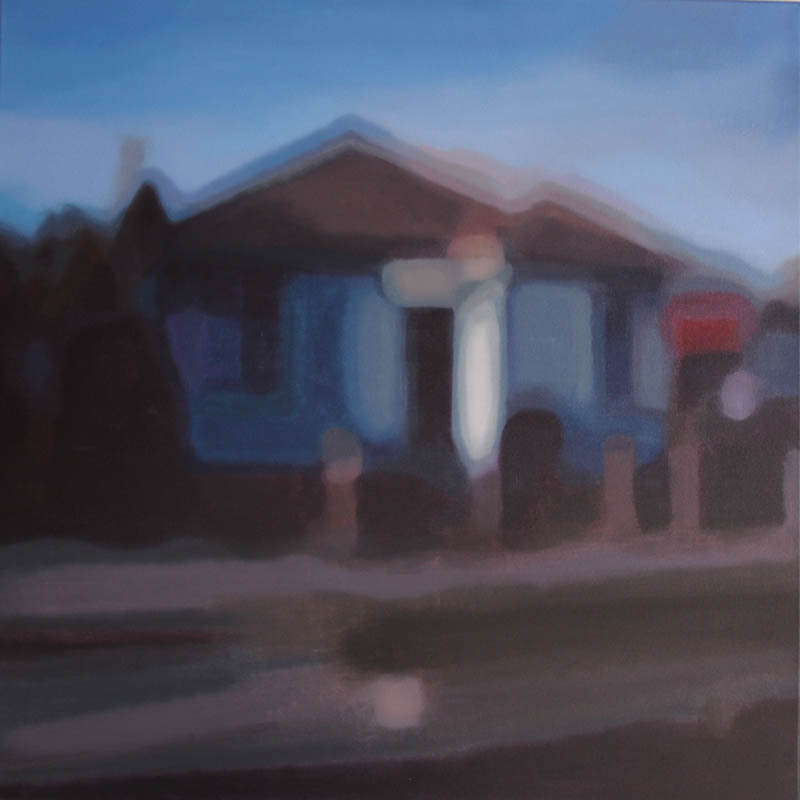 Pople has held solo exhibitions in Sydney, Melbourne, Tasmania and China. His work has been included in group exhibitions at the Art Gallery of New South Wales, Sydney and the Australian Centre of Contemporary Art, Melbourne.. 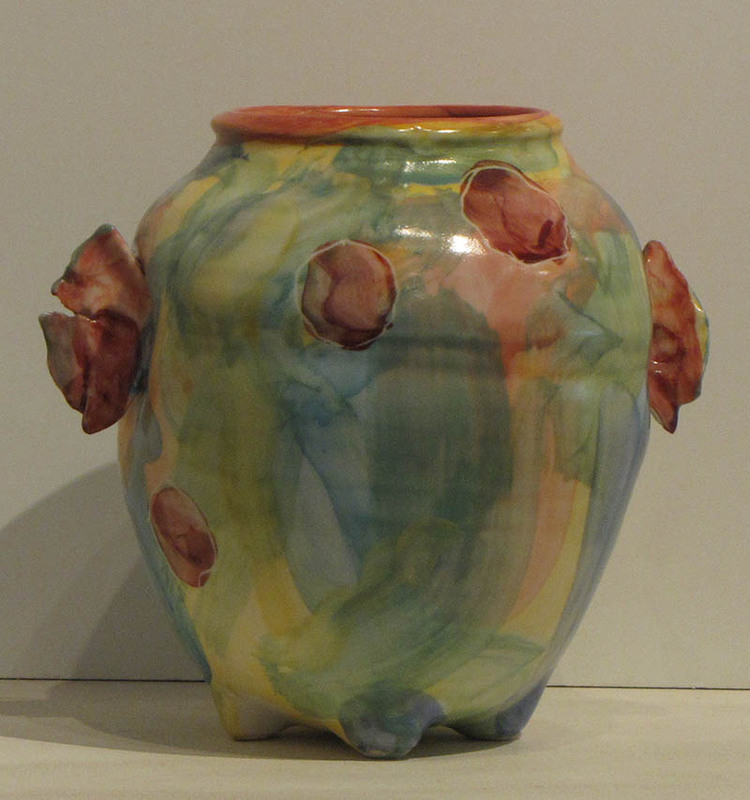 Awarded residence at the Moira Dyring Studio, Cite Interationales Paris through the Art Gallery of New South Wales in 1990, Lake Macquarie Art Prize 1988, the Fisher’s Ghost Prize 1994 and a National Art School travel grant 1999, and finalist in Blake, Archibald and Wynne Art Prizes on many occasions. 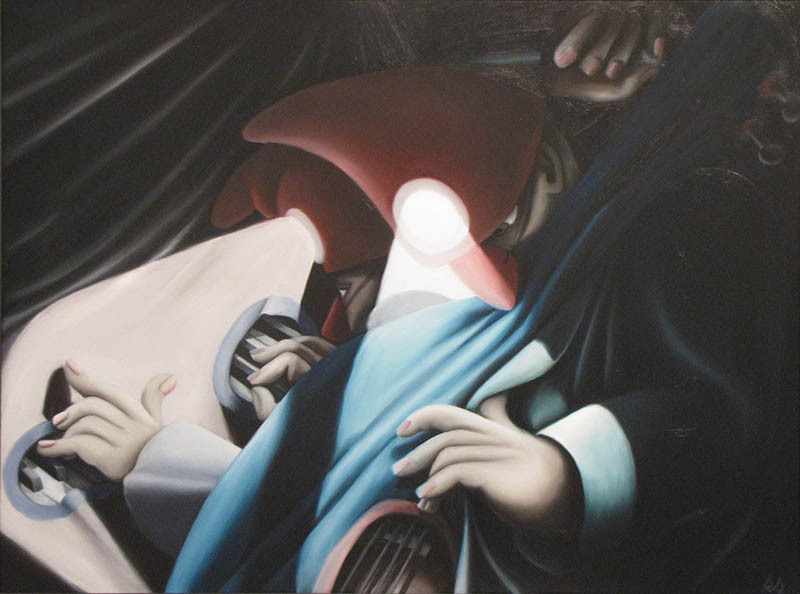 Pople won the Sulman 2008 and Glover Prize in 2012 with a controversial portrait of Port Arthur. 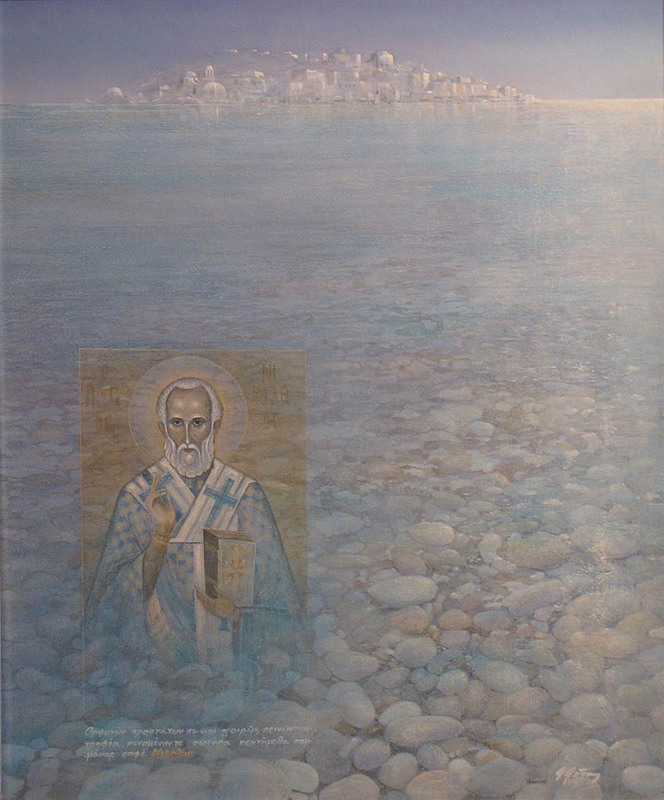 His work is held by the National Gallery of Australia, Canberra; the National Gallery of Victoria, Melbourne; the Queensland Art Gallery, Brisbane; Artbank. 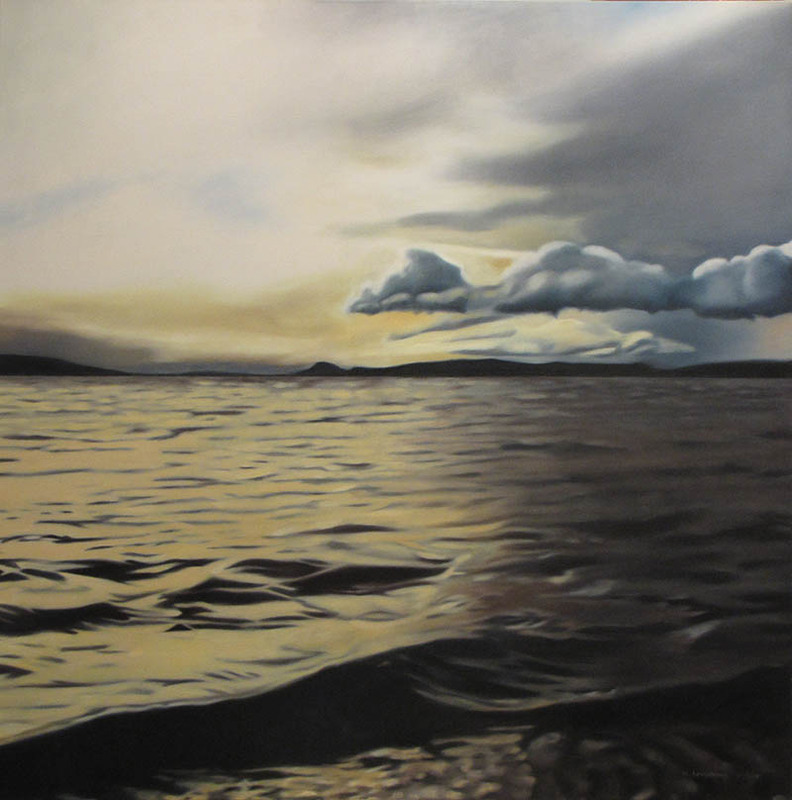 One of Tasmania’s most prominent landscape painter, Geoff Dyer is best known for having won the Archibald with his portrait of Tasmanian environmentalist and writer, Richard Flanagan. 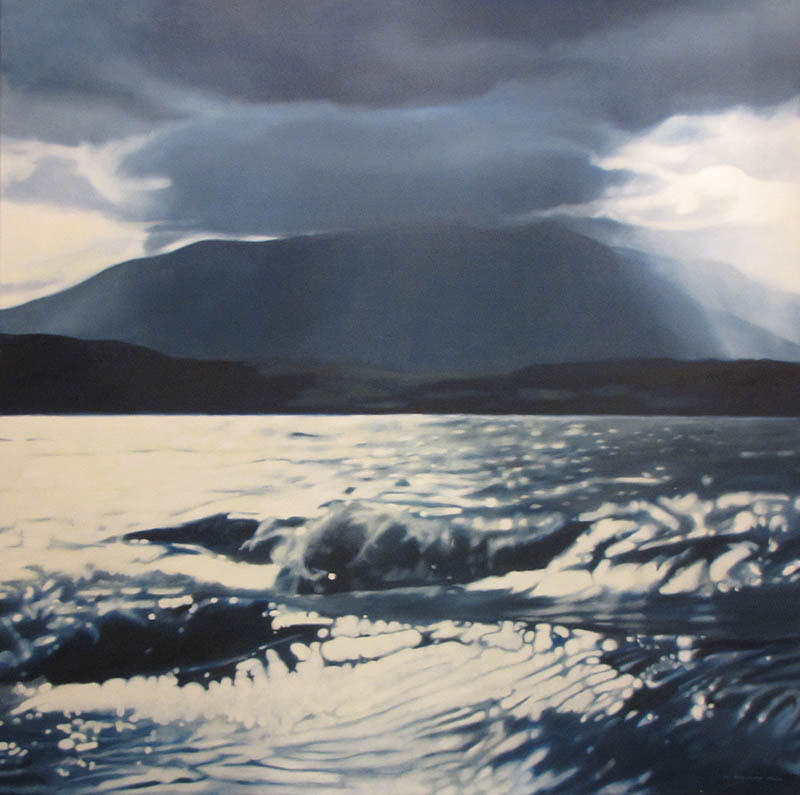 Geoff Dyer’s expressive landscapes reflect Tasmania’s unique environment. 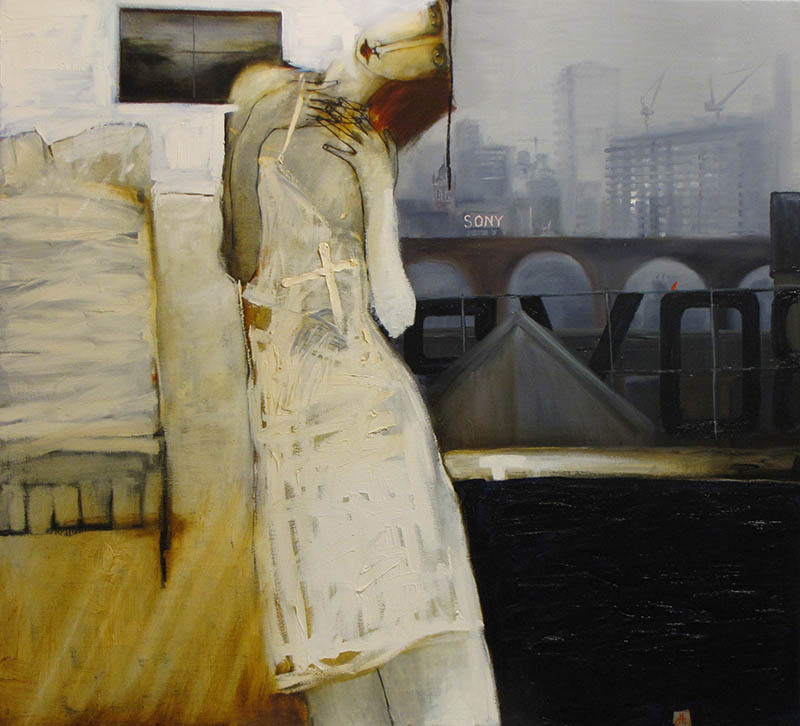 He creates works that merge 19th century romantic landscape traditions by the likes of the great British master, Turner, with a more contemporary vision that owes much to Australian Modernists such as Fred Williams. Geoff Dyer has exhibited throughout Australian and internationally for the last 30 years, major shows including China and New York. 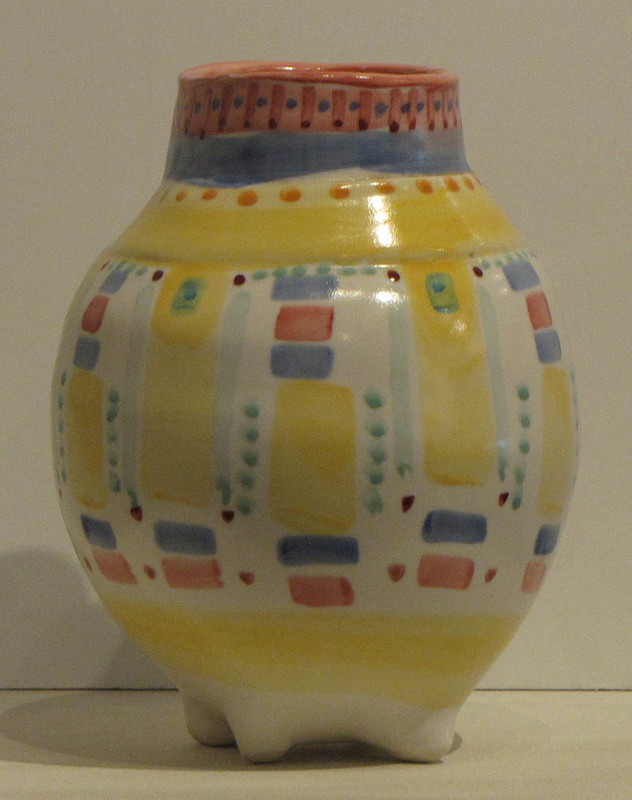 Purchased from Savah Gallery, Paddington in 1999, her first Sydney exhibition. From the period of the stolen generation, Barbara was removed from her mother, Minnie Pwerle and her Eastern desert homeland at 9 years of age. At 18 years, Barbara was living in Darwin and a chance meeting between her husband and Billy Stockman enabled her to reconnect with her family in Utopia. Emily Knwarreye who had helped to look after her as a small child, provided the vital link in reconnecting her with her mother after she moved back to Utopia permanently in 1977. Here she discovered her own affinity with the bush berries, grass seeds, wild flowers and the desert country of her birth that was to become the wellspring of her art. 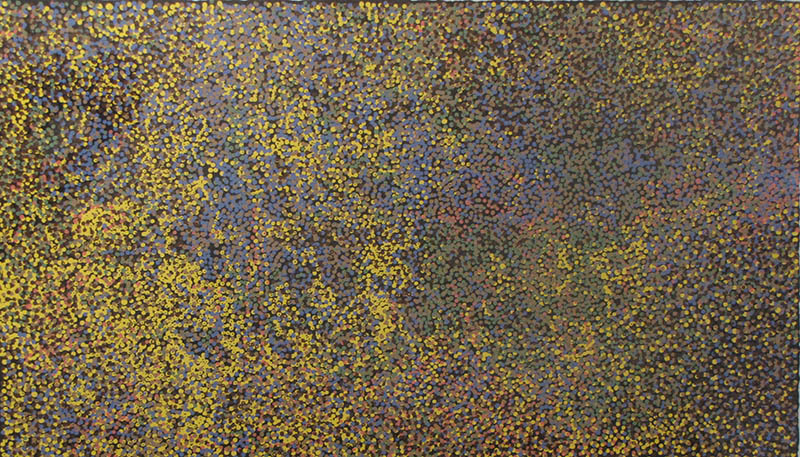 Her work straddles the two major identifiable Eastern Desert painting styles; that of the gestural painters exemplified by her auntie Emily Kngwarreye and her mother Minnie Pwerle, and that of the highly intimate imagery created by Kathleen Petyarre. She began working in Batik in the late 1980s, and began painting with images founded in structure and composition on conventional traditional motifs. 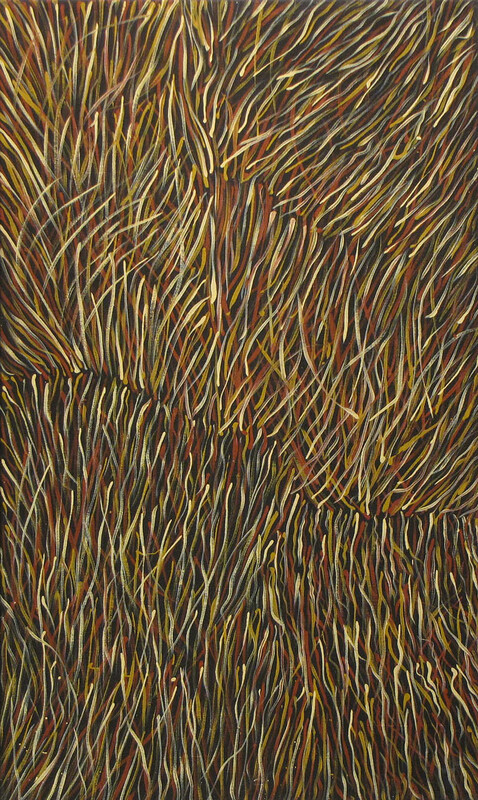 Her second, and most popular motif and signature style, Grass Seed, lies in her fine linear technique in which she overlaps thickly applied brilliantly coloured brushstrokes that imitate and evoke the movement of native grass. Her first solo exhibition Dream Works, was a sell out success at both Flinders Lane Gallery in Melbourne and Gallery Savah in Sydney. 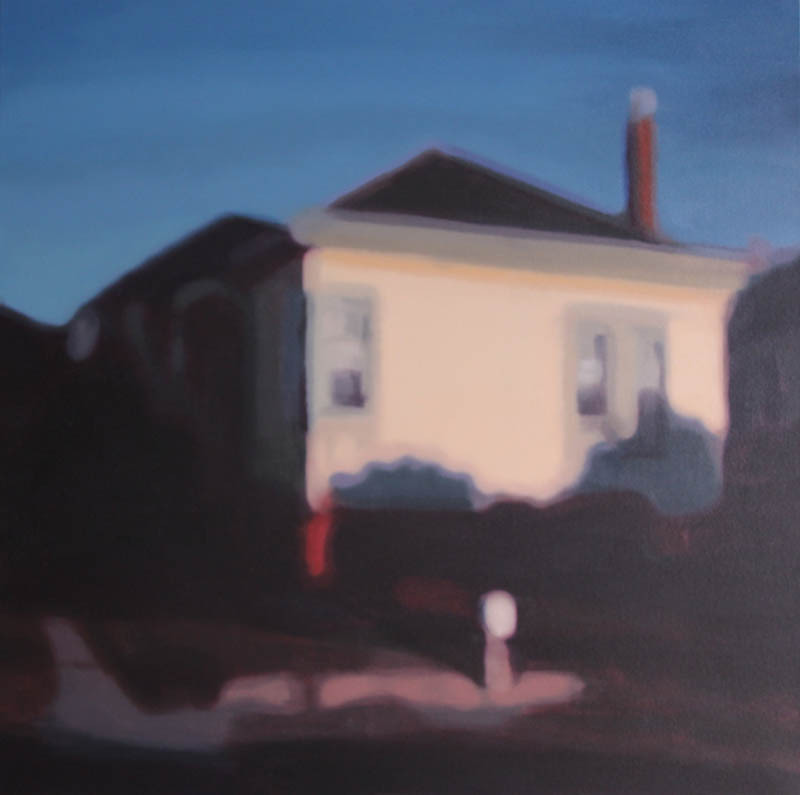 Since then Barbara Weir’s paintings have been included in exhibitions in every capital city in Australia as well as important shows in Singapore, Chicago, Santa Fe, Paris, Copenhagen and Auckland. Similar works in collection of Janet Holmes a Court. Artist named in Art Collector magazine top 200 Most Collectable Artists. Emily Kngwarreye was a senior member of the Anmatyerre community resident at Utopia and regarded as the pr-eminent woman artist of the desert region. Born at Alhalkere northwest corner of Utopia Station, she grew up working on various cattle stations. 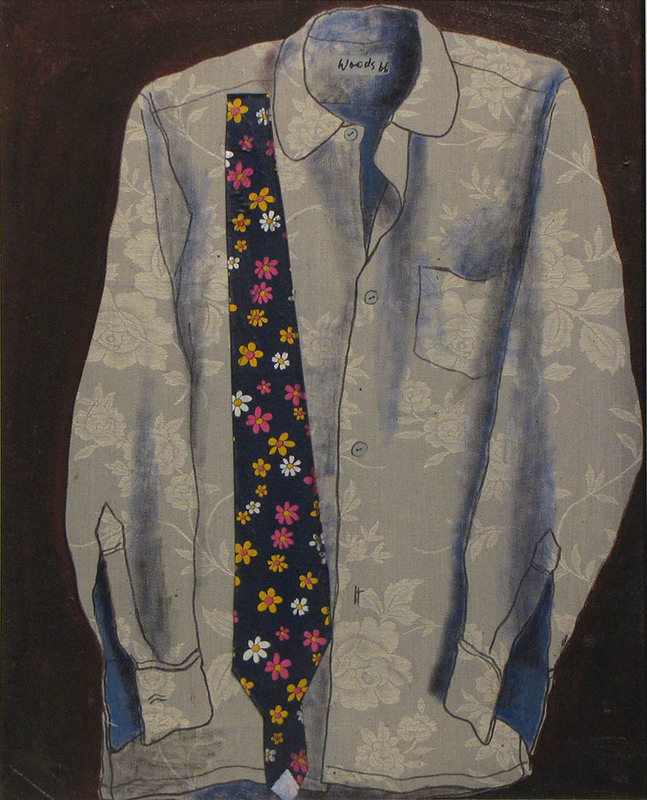 She commenced paintingon fabric in the batik technique in the late 1970’s, and produced her first paintings on linen in 1988. She was the leader of a number of song cycles for particular women’s ceremonies. Her paintings were mostly based on Anmatyerre body designs and Dreaming sites especially associated with yam tubers and flowers. 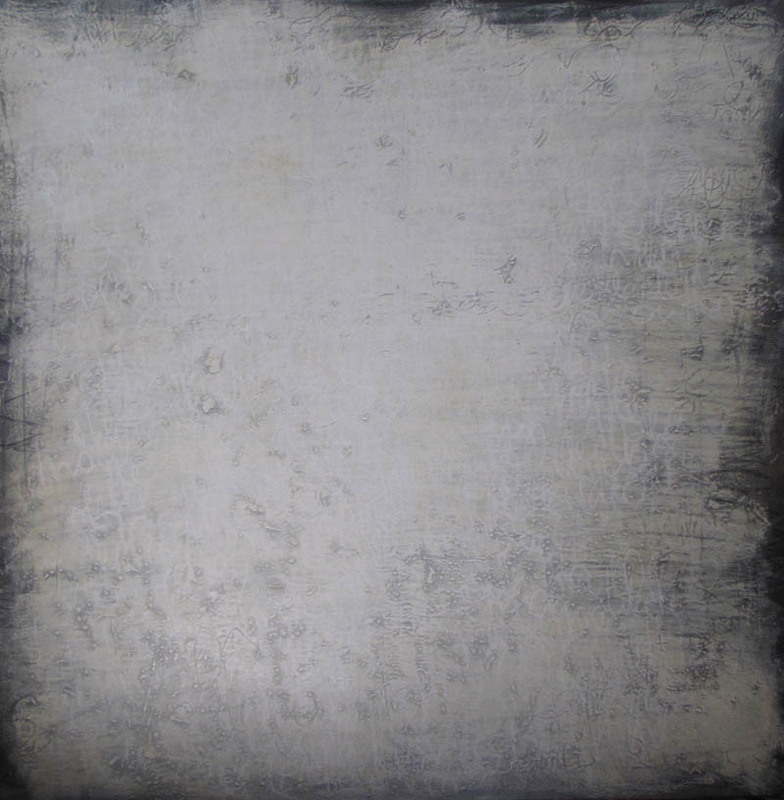 Emily had numerous solo and group exhibitions and is represented in all major state gallery collections in Australia, USA, Europe and UK. Her work represented Australia at the 1997 Venice Biennale. 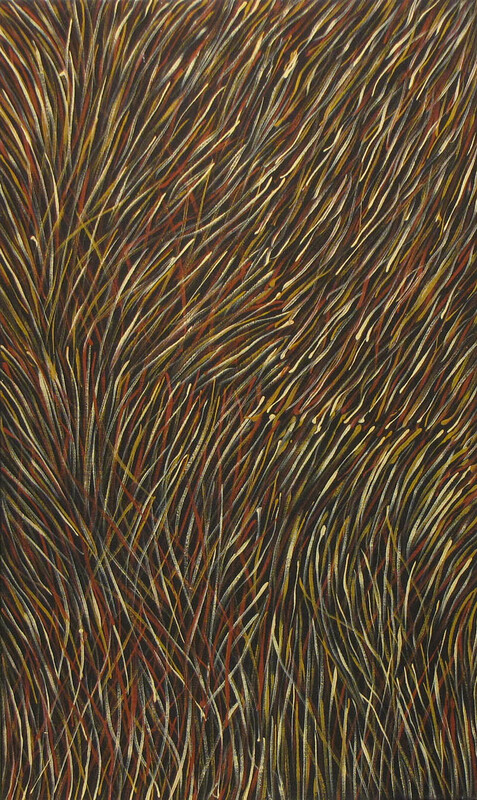 Emily was the first aboriginal artist to ever achieve an auction sale price for 1 of her paintings Painting Earth’s Creation sold in 2007 for over $1 million dollars. 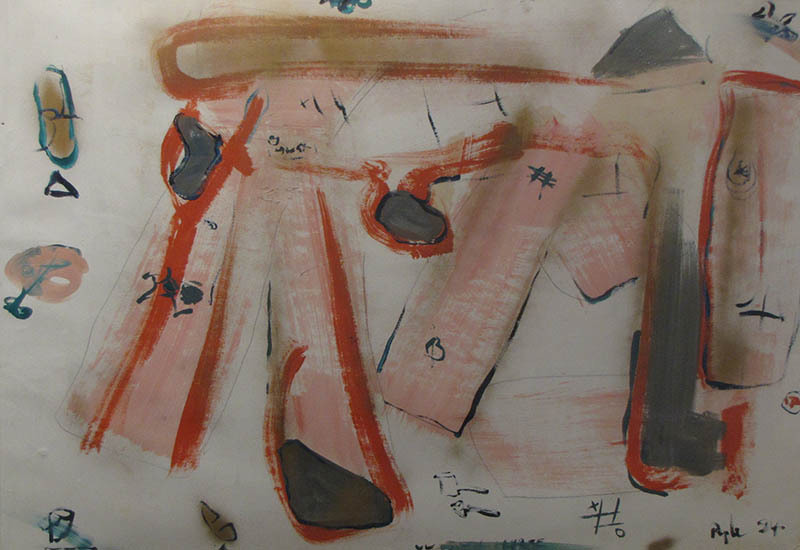 The painting State of My Country o028 1990 synthetic polymer on canvas 121.6 x 210.8cm is part of the Holt Collection. This screenprint based on the painting is a limited edition no 34/99 and is the same image that was used on the cover of the book Emily Kngwarreye Paintings Craftsman House 1998.